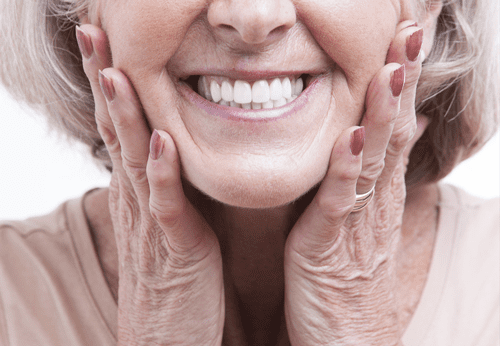 Home Blog Do your dentures need replacing? Do your dentures need replacing? Is it time for a new set of dentures? After 3 – 8 years of continued use, your dentures will likely need to be replaced. However, that’s a really large window with regards to determining whether or not you should be seeking out a new set! Naturally if your dentures are broken, you may initially try to repair them. Seek the opinion of a professional who can assess the damage and decide whether or not your dentures are repairable of if they should rather be replaced. In some cases, broken or chipped denture teeth can be repaired, however, a broken denture base almost always calls for replacement. The denture base is the most important element of your dentures and when broken, results in your dentures no longer being functional. With proper care, your dentures can appear clean and bright for years! However, wear and tear is normal. Dentures can be brought to the dentist for polishing, though after some time, no amount of polishing or cleaning can bring new life to your dentures. In this instance, a replacement is appropriate. In the beginning, your gums may feel a little sore as they get used to your dentures, however, after a few years of use, if your dentures suddenly feel uncomfortable and your gums are irritated, you may need to visit your prosthetist who could suggest a new set. Your jaw and face changes over time. As you get older, your jaw will line up differently and your gums may begin to recede, hence after a while your dentures may not fit as well as they used to. If your dentures are no longer a good fit and you find yourself having to apply more adhesives than usual, it may be time to get a new set fitted. If you had partial dentures that accommodated your specific tooth loss, you will need new dentures that can accommodate any further tooth loss that has occurred after your previous dentures were fitted. This one may seem like a given. However, it should be noted that when you have dentures, you should schedule check ups with your dentist every six months to ensure that everything is in order. Your dentist may suggest new dentures for any of the reasons mentioned above. It is always best to get a professional opinion before investing in a new set of dentures. It is important that denture wearers discontinue use of old, broken or ill-fitting dentures as these can lead to oral issues. Not only will they feel uncomfortable, but also they will make eating and speaking difficult and will no longer support your face. Click here to book a consultation with one of our professionals to determine whether or not it is time for a new set of dentures.